NICEVILLE, Fla. – In a new fantasy novel a bitter struggle for control of the land of Spectross draws a galactic line between good and evil. Author B.A. 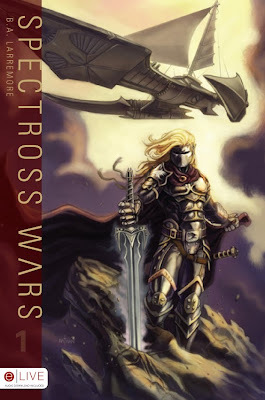 Larremore chronicles their epic battle in his first novel, Spectross Wars: Raven and the Dove. If you like swords, sorcery, guns, and gadgets, along with a unique and limitless world to explore, this first of several books is for you. Lose yourself in the world of Spectross, where war comes to every man's doorstep. Published by Tate Publishing and Enterprises, the book is available at any bookstore nationwide or can be ordered through the publisher at www.tatepublishing.com/bookstore, or by visiting http://barnesandnoble.com/, http://amazon.com/ or http://target.com/. Spectross Wars: Raven and the Dove, is also an eLIVE title, meaning each printed copy contains a code redeemable for a free audio version from http://tatepublishing.com/. eLIVE – Listen, Imagine, View, and Experience! Though appearing for the first time in print, Larremore is not new to writing. 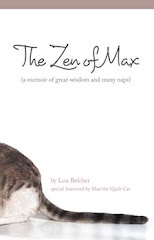 Having written several unpublished poems and articles relating to faith and the pursuit of God, his penchant for imaginative expression has brought him to the permanent voice of publishing. Larremore currently serves in law enforcement in the Panhandle of Florida and has been married to his wife Karla for nearly nine years. The couple has two children and one on the way. For more information, please contact Traci Jones, Marketing Representative, at (888) 361-9473 or send an email to traci@tatepublishing.com.